I blog on several different websites, and amalgamate them all here on this site. Why? Well, I blog on different topics for different audiences. On my WebsiteDoctor blog I write about online marketing for business people include stuff on search engine optimisation and social media. I don’t want to inflict my software and programming geekness (and fanaticism for science fiction) from my amd on software blog, on the business folks. Over on my SportCrazy.net blog, I typically write about almost every kind of sport especially rugby and cycling, but also gaa, soccer, NFL, cricket and more. 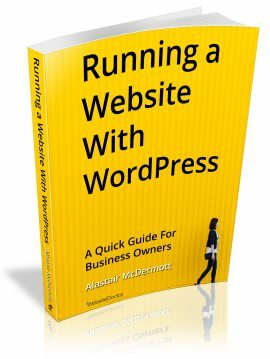 At LogOn.ie I blog about the more geeky parts of WordPress and on web design – it’s more for a tech-savvy web audience. I’ve bitten the bullet and merged the LogOn brand into WebsiteDoctor for business reasons. Here on AlastairMcDermott.com this is first and foremost a place to gather all the other blogs together, and make it easier for you to stalk me. Got an opinion or suggestion on my setup? I’d love your feedback – please contact me and let me know! Cheers!